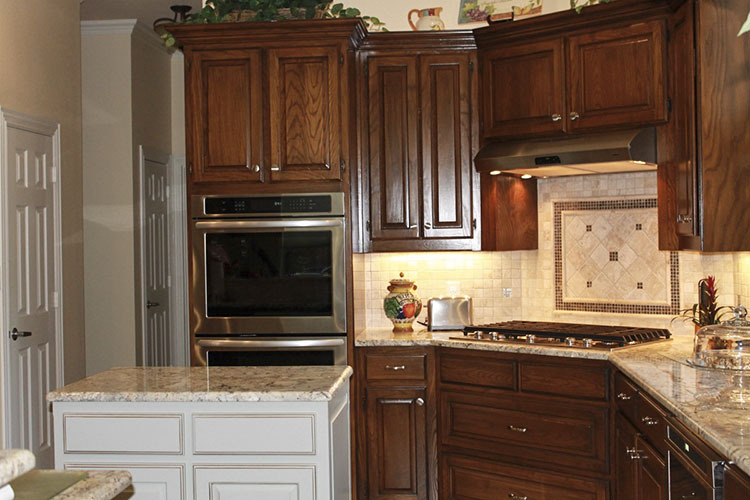 We started by addressing the most obvious need—adding more counter space. 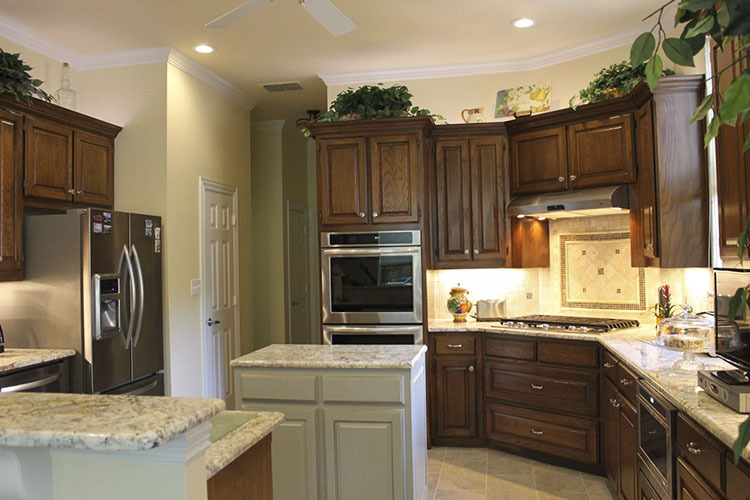 We built an island that gave them the space they needed without crowding the kitchen. 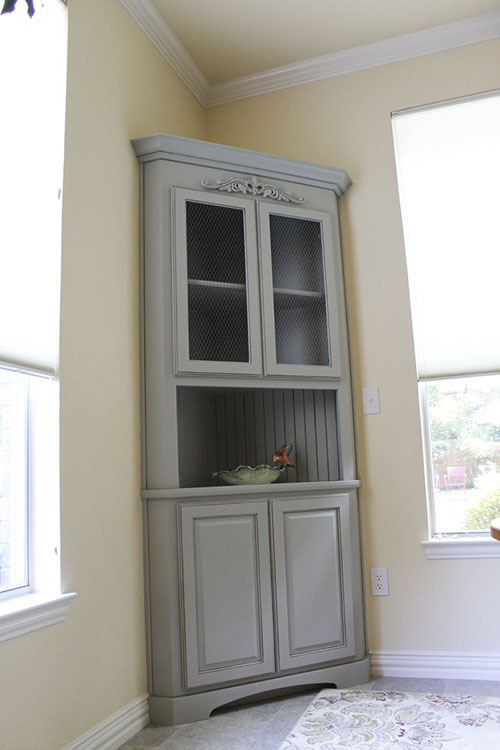 Next, we built a hutch in the corner with tons of storage space for extra dishware or china. 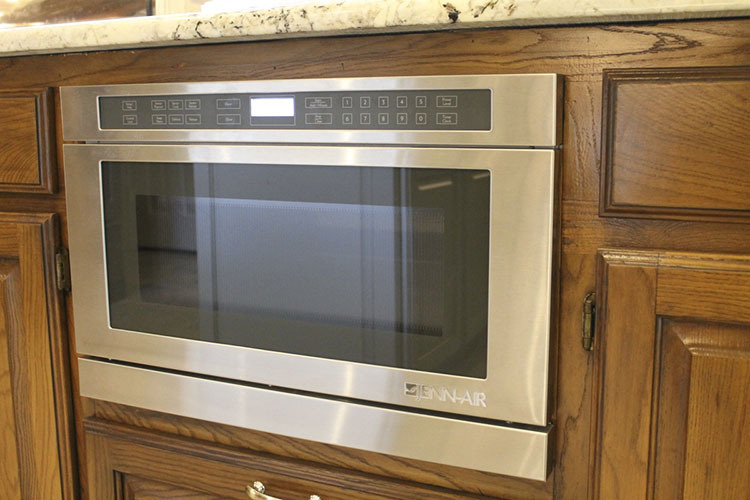 Another problem that our client had was the outdated appliances in the kitchen—they were just too clunky to keep around, so we replaced them all! 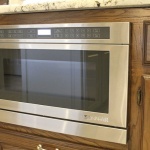 They now have gorgeous, matching stainless steel appliances. 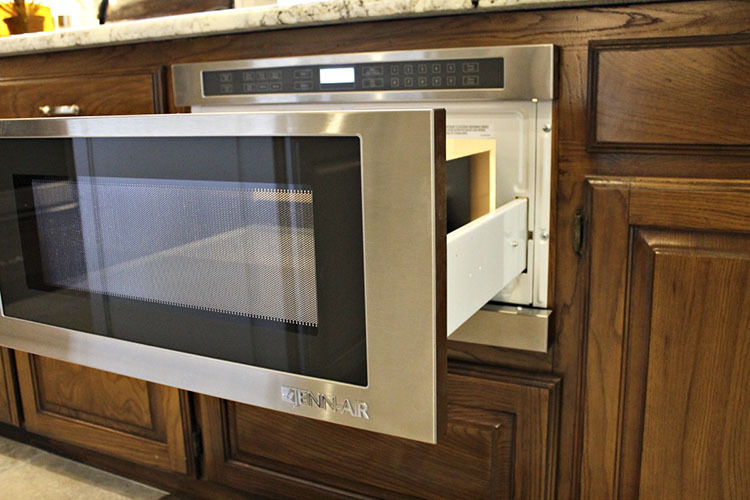 We even built in a drawer microwave that stays tucked away under the counter—it makes loading and unloading easier for big and little hands alike! 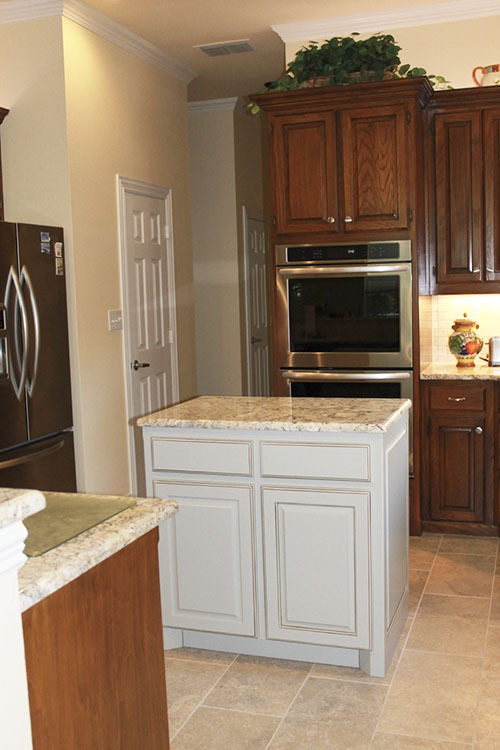 To match the beautiful new look of the appliances, we updated the countertops and flooring. 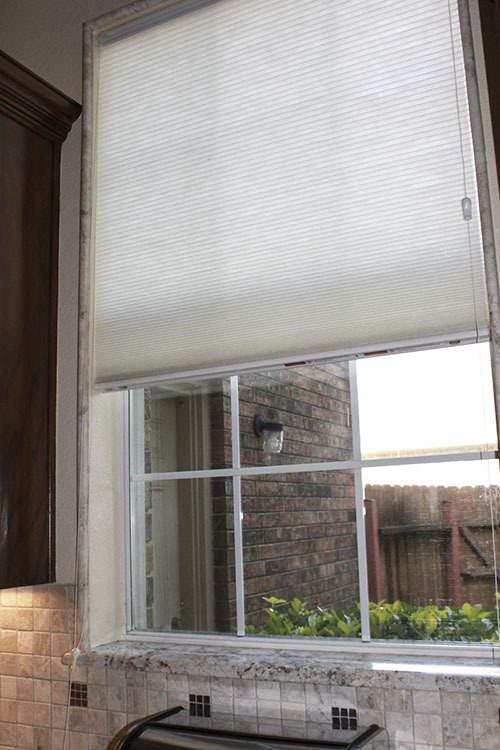 Luxurious new tile and granite countertops complement the new crown molding, and we updated the window trim to match the countertops. There’s a lot more to this remodel than we’ve listed here—read more below to learn all the fine details of this remodel. 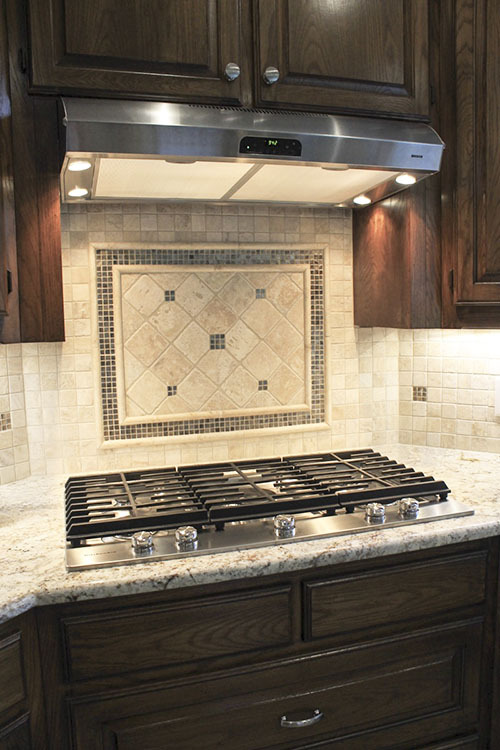 If you love this remodel as much as we do, make sure to like and share above! 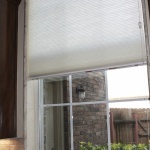 All new granite countertops that match the new window trim. Completely redone flooring with porcelain Italian tile. 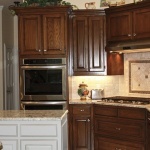 Restained cabinets to contrast with the light colors of the granite countertops and porcelain tile. 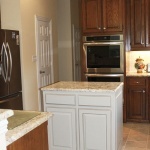 New island with matching granite countertop and storage space underneath. 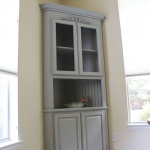 New hutch built into the corner of the dining room with storage above and below. 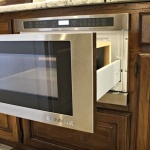 Stainless steel drawer microwave installed under the counter. Completely new lighting with LED lights. 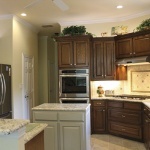 Granite window trim to match the countertops. 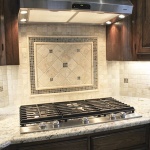 Tile pattern backsplash over the range.